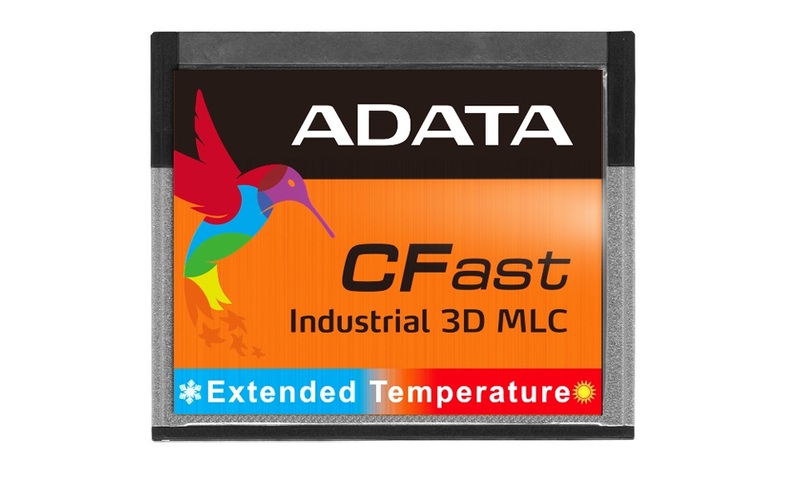 ADATA Technology, a leading manufacturer of high performance DRAM modules and NAND Flash products, today launched the industrial-grade ICFS314 CFast storage card. Designed for demanding applications and harsh or high traffic environments, the ICFS314 uses 3D MLC NAND to increase durability and longevity. 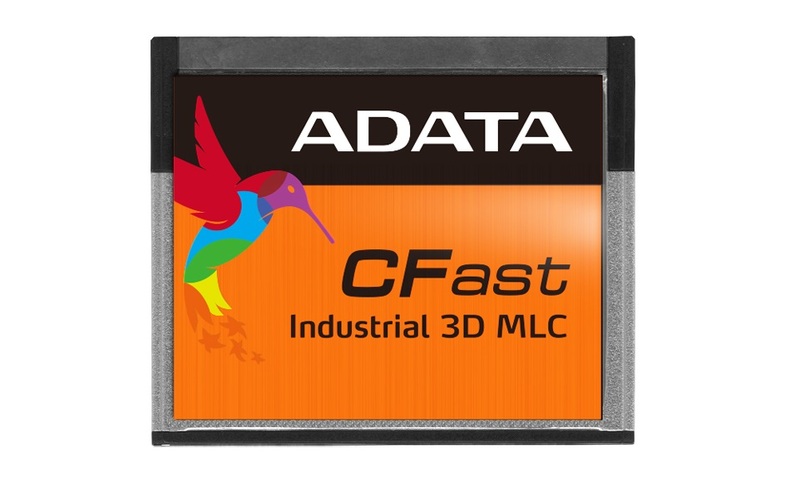 As a CFast 2.0 product, it delivers data in the SATA III (6Gbps) protocol, capable of 550MB/s read and 520MB/s write (more than twice CFast 1.0 speeds). The ICFS314 consumes just over 2W, making it exceedingly power efficient, and is available in a wide range of capacities from 32GB to 512GB. The shift to more efficient, higher density, and longer lasting 3D NAND is well under way in SSDs. Enterprise and industrial users now also have the option of benefitting from 3D NAND advantages on CompactFlash/CFast products, such as the ICFS314. Stacked or layered NAND improves on its planar predecessor in every way, from speed to lifespan. The ICFS314 arrives in up to 512GB of meticulously-sorted 3D MLC NAND. With CFast 2.0 specifications implemented, the ICFS314 supports SATA III 6Gbps speeds to deliver up to 550MB/s read and 520MB/s write. In every scenario and application, these enable greater productivity as they reduce data transfer and processing times. This stands in contrast to older CFast 1.0 cards, which only support SATA II 3Gbps data rates. The ICFS314 has been designed with applications such as automation, points of sale, medical equipment, and casino machines in mind. In addition to being compact, it draws just over 2W of power to lower energy consumption. The ICFS314 can operate in a wide temperature range of -40 to 85 degrees Celsius, and withstands 20G vibration as well as 1500G/0.5ms shocks. It supports S.M.A.R.T diagnostics and hardware-level error correction to boost data integrity, while wear leveling prevents uneven NAND stress, leading to a longer product lifespan and better return on investment.